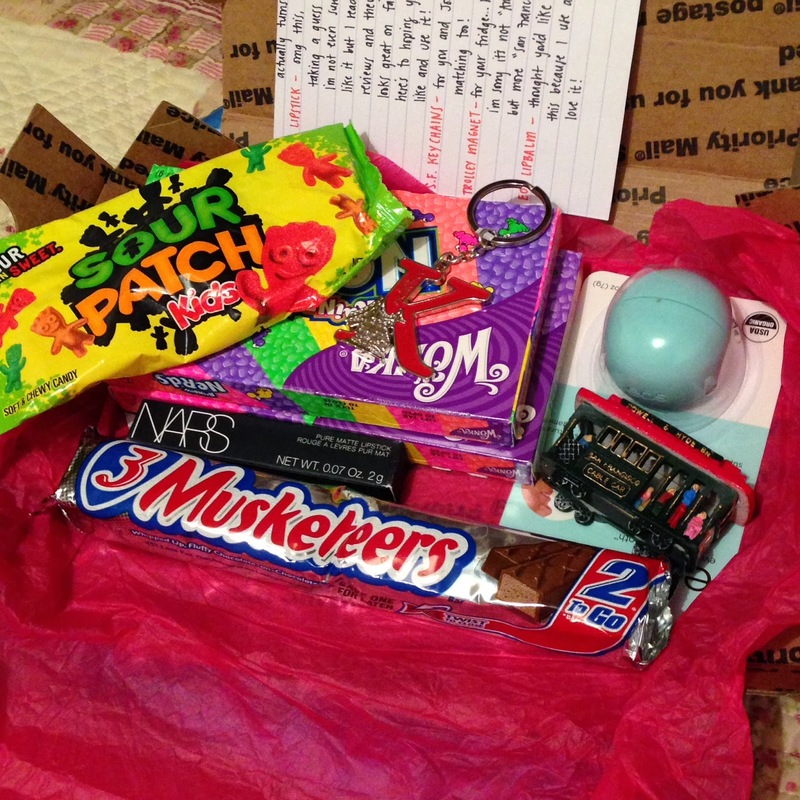 I've been writing to my penpal in America for over a year now, so this year we decided we would send each other a little Christmas gift. I love buying gifts for other people, but I found it a little tricky buying items that aren't available in America. However, I hope I did a good job, I won't tell you what I bought as I don't think it's arrived in the US yet so I don't want to spoil the surprise! Anyway, my parcel arrived on Friday and I was unbelievably excited by my Christmas gifts. American sweets are so much better than our UK offerings, in my opinion. Probably cos we have slightly different rules on additives etc. but either way America 'candy' is sooooo good. I did have a packet of Sour Patch Kids too, but I may have eaten them immediately and didn't have chance to photograph them..Oh and Sour Patch Kids are vegetarian in America! 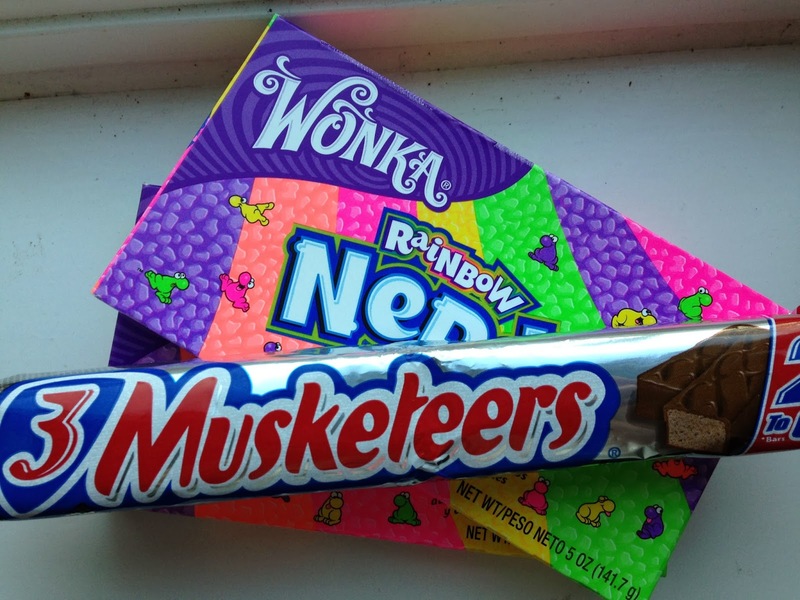 I also received two boxed of Nerds - she knows me too well, and my all time favourite chocolate bar - 3 Musketeers. Yum! 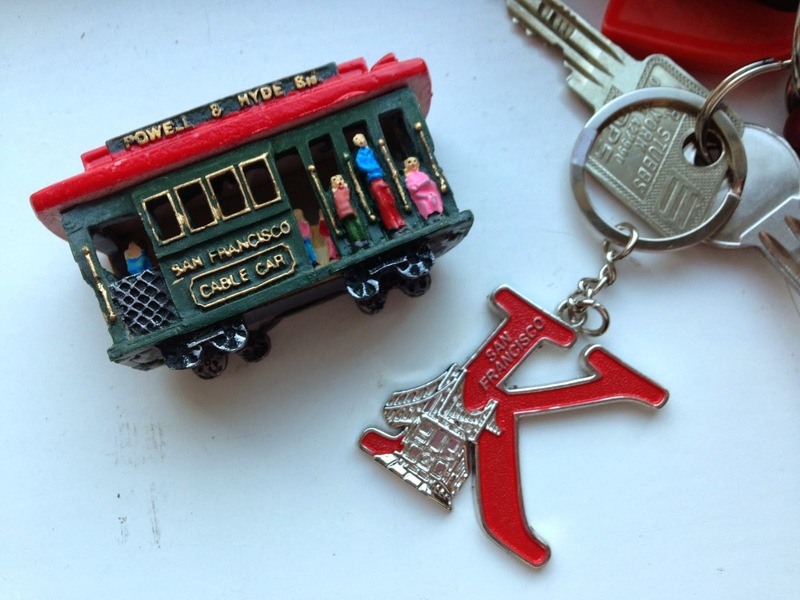 I also got some little San Francisco trinkets, which are too cute. I've never been to California so these are perfect - my hubby even got a key ring with his initial on too - so sweet. We actually buy magnets from every destination we go to abroad so this little magnet fits perfectly with our collection. Lastly, lip goodies. The winter destroys my lips and I've been DYING to get my hands on one of the EOS lip balms for yonks, so I did a little squeal when I saw this little devil. It's the mint flavour and is really yummy. 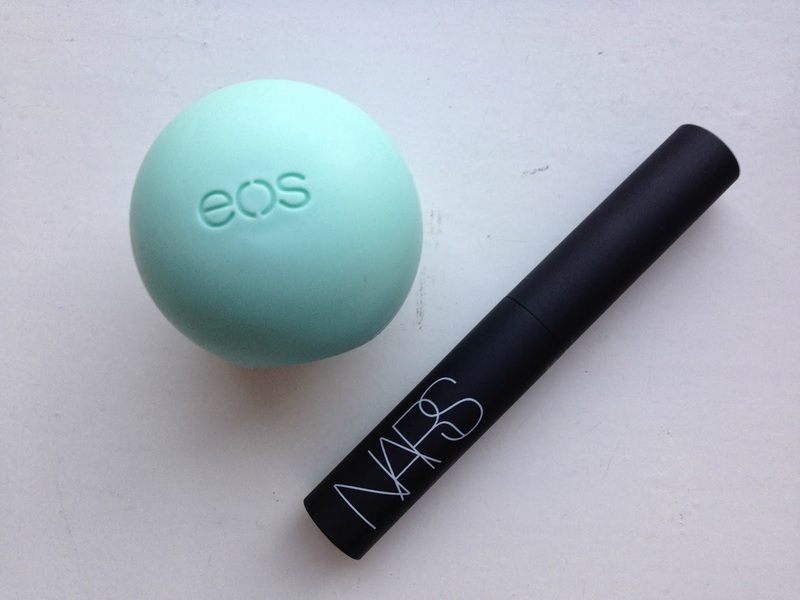 My other lip product came from Nars, you all know I'm a huge fan of Nars and I'm so happy to have this lipstick in my make up bag. I was sent the shade Bangkok and it's gorgeous! Thank you so much for my gorgeous Christmas gifts! What a lovely parcel to receive. I really like American sweets!